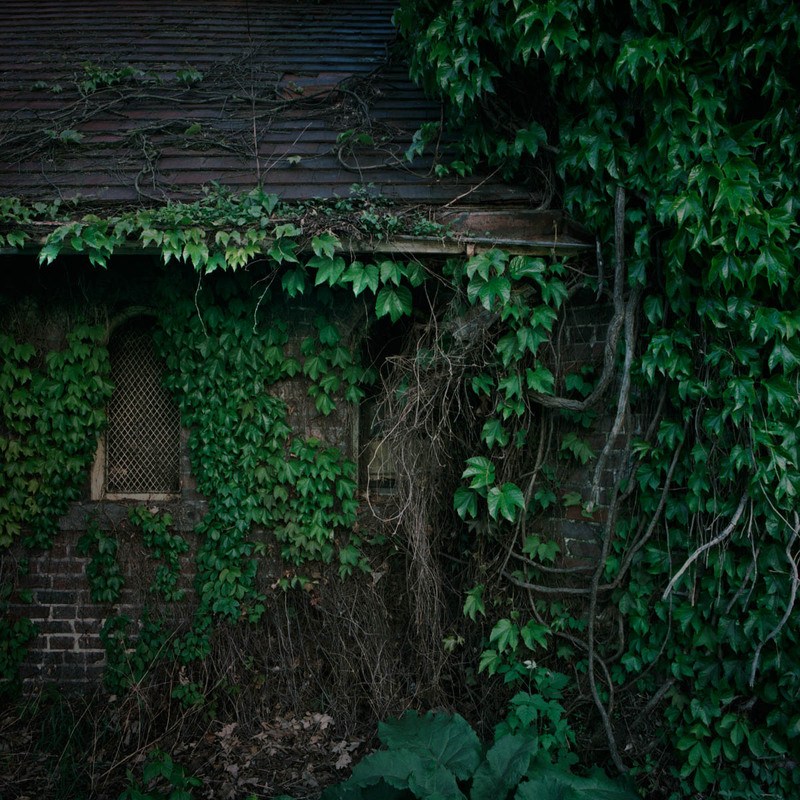 OH MAN am I into vegetation-reclaimed manmade structures…this is beautiful! Those high-structure window, not to mention the linear bricks and shingles, in contrast with the random creeping of the vines…!!! I found this place so interesting I used up several rolls of 120 film on it one day.